This holiday season, I went way overboard on the sweets. Okay, that happens every year, but this season was even more fudge-filled than usual. In preparation for hosting a few festive get-togethers, I spent the better half of December hoarding enough chocolate and booze to stock a 21-and-up candy store. When the parties were over, this became a problem. Usually, I’m that guest hovering over the dessert table, stuffing her face with snickerdoodles, but I eventually go home, suffer a serious sugar hangover, and stay off the sweets for awhile. This year, the desserts were still in my house! Every time I opened our pantry, I couldn’t help but grab another handful of peppermint bark, then make myself a candy cane martini since, well, it’d be a shame to let all of those leftover candy canes go to waste. 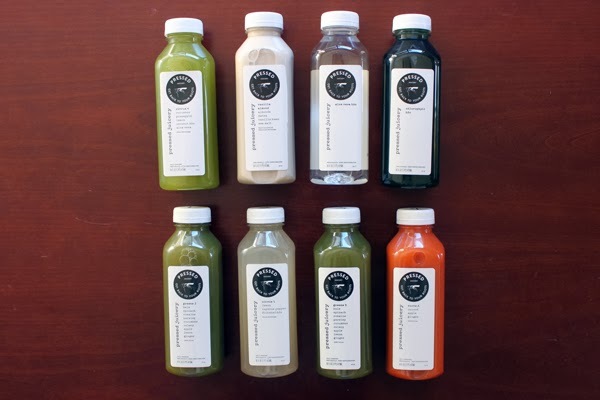 A few days into the new year, I happened upon Pressed Juicery. 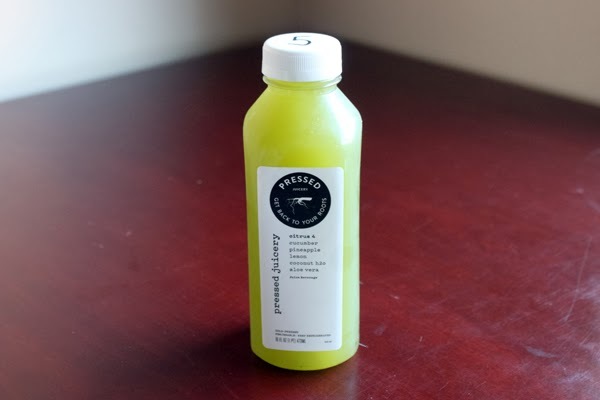 When the girl behind the counter started telling me about their juice cleanses, I wondered if she could tell that the closest thing I’d had to juice lately was the squeeze of lime in a Moscow Mule. 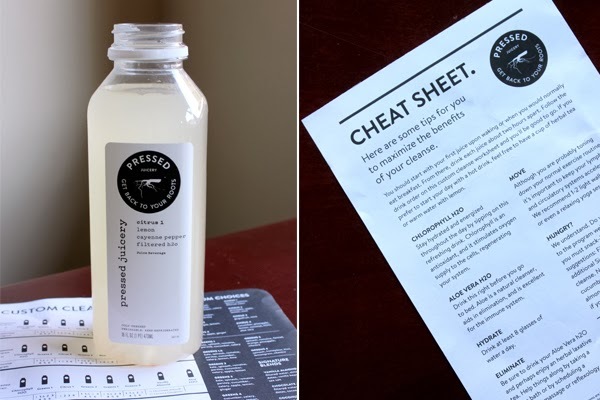 As she poured shot-sized samples of liquid lettuce and explained the different cleanses, my ears perked up when I heard one-day cleanse and $10 off. I could certainly handle one day of these drinks—the fruit and veggie blends weren’t just tolerable, they were tasty, and there was a vanilla almond milk that seemed more like a milkshake—and I can’t resist a good sale. Plus, it sounded just like what I needed: a way to give my digestive system a much-needed break and hopefully help curb my lingering cravings for Christmas cookies. 8 AM: It’s Sunday, and I wake up super excited to start my cleanse! My cleansing cheat sheet says it’s okay to start the day with herbal tea or warm water with a lemon. I like the sound of this. I always have warm water with lemon, ginger, and cayenne first thing in the morning, so I make a cup of my usual lemon drink. I then realize that aside from this cup, I won’t have to do any more dishes all day! This cleanse feels worth it already. 10 AM: My husband asks if I want to go to our favorite coffee place. I ask him if he’s crazy and remind him that I’m cleansing. His response? “Ugh, your cleanse hasn’t even started and you’re cranky already!” Honestly, I’m not cranky (yet), I just don’t want to be surrounded by scones when a major ingredient in my first meal will be liquefied celery. 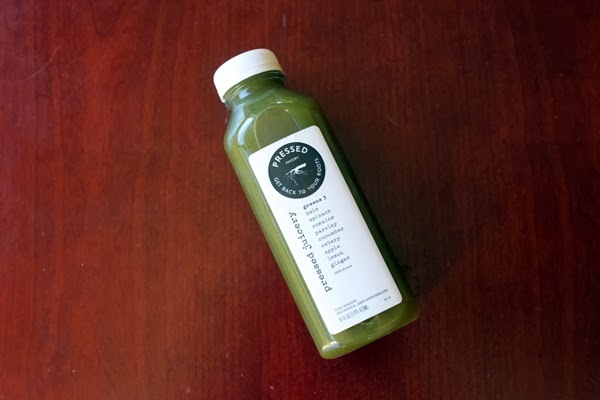 10:30 AM: I finally open my first bottle of juice, Greens 3, which has kale, spinach, romaine, parsley, cucumber, celery, apple, lemon, and ginger. Considering how many leafy greens are in there, it’s surprisingly delicious. The apple imparts just the right amount of sweetness and the ginger gives it kick. It’s actually not too far off from my usual breakfast, which is often some variation of a green smoothie. 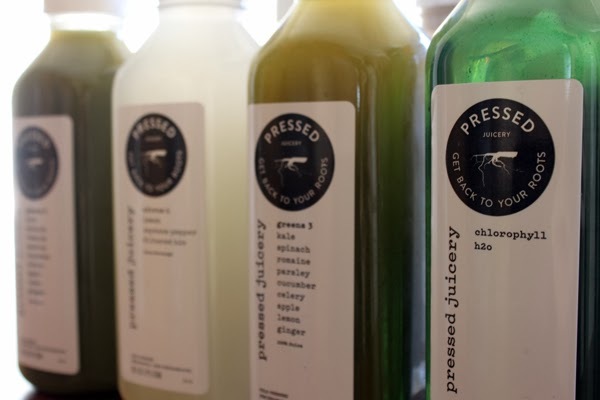 10:45 AM: The cleansing gurus at Pressed Juicery recommend toning down your normal exercise routine in favor of one to two strolls or a relaxing yoga session. I happily skip the gym and take my dog on a long walk. 11:30 AM: I break out the chlorophyll water, which I’ve been instructed to sip all day. I’m already familiar with this green-hued drink, which is supposed to help increase your red blood cells and do other good-for-you things. I first learned about it from one of my most beautiful friends (hi, Holly!) who learned about it from her naturopath. I don’t even know what a naturopath is, but I know that Holly always looks like the epitome of health, so I found liquid chlorophyll at Whole Foods and started adding it to my water. Unfortunately, I got out of this habit when my chlorophyll ran out, so I make a mental note to start this up again post-cleanse. 12 PM: I have thirty minutes until my next juice. I put on a mindfulness yoga CD because it sounds like something one would do while cleansing. 1 PM: During savasana (don’t be fooled—I had to Google that word), I become mindful of my rumbling tummy. The yoga session was longer than I’d expected, and I was due for juice half an hour ago. I race to the fridge to grab Citrus 1, which contains lemon, cayenne, and filtered water. Light but spicy, it tastes like a chilled version of my morning lemon drink. After downing it, hunger is curbed. 2:30 PM: It’s time for another round of Greens 3. I’m not very hungry, but I gulp it down in an attempt to stay on schedule. 3 PM: I decide to do other detox-y things while I’m at this. I brush my skin with a dry skin brush and take a hot bath with epsom salts. I even rinse my hair with apple cider vinegar and do a pore-purifying mud mask. I’m officially into this cleansing thing, guys. 4:30 PM: I practically skip to the fridge because it’s time for my roots drink! While sampling the different options, I chose Roots 4, which has carrots, apple, and ginger. It was my favorite of the juices, so I’ve been looking forward to it all day. Carrots have never tasted so good. 5 PM: I take my dog on another walk and have extra pep in my step. I love cleansing! 6 PM: I feel a little lightheaded. Is it time for my almond milkshake milk yet? I chug a glass of water and try not to watch the clock. 6:30 PM: I’m onto Citrus 4, a sweet blend of cucumber, pineapple, lemon, coconut water, and aloe vera. It’s totally refreshing with a tropical vibe. At this point, I wish I’d started my cleanse a little earlier in the day so that I’d already be onto my almond milk, but alas, I must wait another two hours. 7:30 PM: My husband is a mean person and orders himself a pizza. I hide in another room. 8:25 PM: I’m feeling super tired and want to polish off that almond milk so I can go to bed already! I try to stay precisely on schedule but can’t wait any longer. It tastes heavenly. In addition to almonds, this creamy milk has dates, vanilla bean, and sea salt. It reminds me of the date shakes that my dad, who hails from Palm Springs, would make when I was a kid. Who knew something this dessert-like could be part of a cleanse? 8:45 PM: I’m ready for bed at an embarrassingly early hour. I just have to drink a bottle of aloe vera water first. According to the cleansing instructions, this will aid in elimination (what a nice way of putting it). I proceed to sleep for ten hours. The next morning, I wake up feeling totally energized. From what I’ve read, this is because my body didn’t have to work so hard to digest a bunch of food. I glance in the mirror, and it looks like I’ve been opting for crunches instead of cookies all month. Most importantly, throughout the day, I no longer crave all of the candy. Instead, fresh fruits and veggies are the only foods that sound appetizing. The thought of even opening our sweets-stuffed pantry is nauseating, but I do it to clear out almost everything except for some quinoa (I said almost everything; the dark chocolate stays). For the rest of the week, I don’t even want wine, which is saying a lot. Now, it’s been more than two weeks since the cleanse. Have I been living on liquid kale and raw almonds since then? No. In fact, I made two batches of these cookies last night and used more dark chocolate chips than oatmeal. But, I feel like the out-of-control holiday cravings are behind me, and I’m back to my normal routine of eating mostly plants all day, with a reasonable amount of dessert (and wine) at night. Another perk? I got some new ideas to recreate at home. I’ve already made my own take on the almond milk drink by a soaking a couple of dates and blending them up with almond milk and vanilla extract. Also, it’s nice to know that if I ever start to feel off track again, a totally doable—and delicious—one-day cleanse is all I need to hit the reset button. 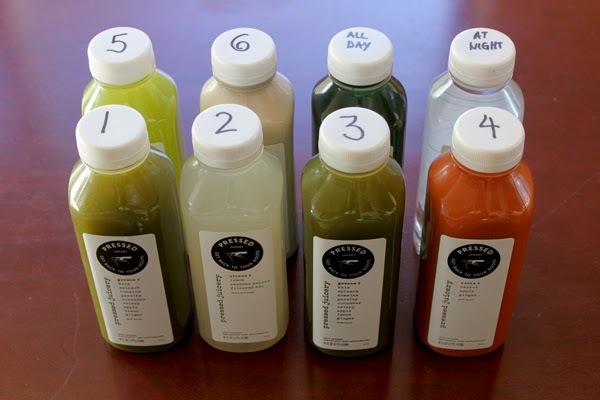 We did a 1-day juice cleanse last year and it definitely helped me get in to the habit of making healthier choices. Kaare and I both loved the way it gave us energy, but neither of us looked like we were opting for crunches over cookies the whole month. Maybe we have to do more crunches while we cleanse? Way to go girl! 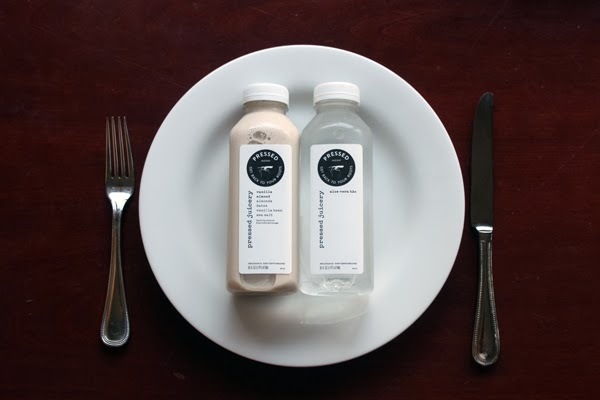 I want to know how you got Kaare to commit to a cleanse! Nick was intrigued but didn't think he could go a full day without bacon. Don't know if I could have made it, but you made it sound pretty doable. And the make at home version with dates and almond milk does sound delicious! Congrats for making it through that tough day (ps. my husband would totally eat pizza in front of me too). Good for you! 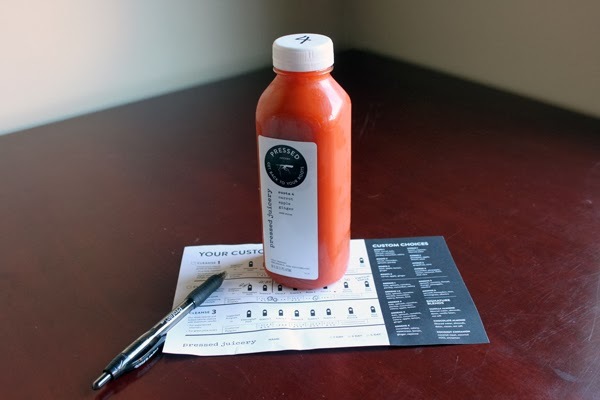 I did a juice cleanse from Juice Shop, juiceshopsf.com, last year. Lessons learned: a) All that cold juice made me freezing. b) Every time I finished a juice, it was time for another. c) Oatmeal in the morning was strangely what I missed most. Ok, and wine. But the juices were delicious and just as good a la carte without the commitment.